Together with Artcoustic’s signature slimline design, Spitfire SL delivers world class cinema sound without taking up valuable space in the room. For a dedicated cinema, there is nothing else with the performance, dynamics, output, flexibility and practicality that Spitfire SL offers. 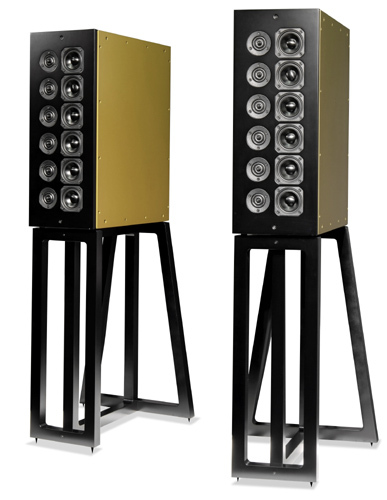 The Spitfire SL defies what has previously been possible in a compact loudspeaker design. When starting out with the Performance Series design brief and concept, it was extremely important for us not just creating yet another loud PA speaker, but instead combining all our knowledge from the existing award winning Spitfire and SL Series technology, ending up with something unique, We understand the importance of sensitivity and high sound pressure levels, but we have never been willing to sacrifice the true qualities typically enjoyed with lower sensitivity Hifi speakers. The Performance Series is a unique cocktail, combining the award winning Artcoustic array technology, multi coupled sub units and high pressure levels, all carefully aligned within well-ordered Danish design principals. With our unique multiple cone array technology, we achieve a very flat audio response from 15Hz – 20kHz, with extremely low distortion, guided directivity and all combined with very high sound pressure levels. Room correction the beautiful way. ABS One Dimensions H: 1000 W: 750 D: 26 mm. Weight: 10Kg. ABS Two Dimensions H: 1200 W: 430 D: 26 mm. Weight 7Kg. ABS Three Dimensions H: 1800 W: 430 D: 26 mm. Weight 9Kg.